Recently Western Taste visited Skärvången Bymejeri deep in the forests of Jämtland. It was a very nice visit and the cheese is nothing short of spectacular. We discussed their dairy and tasted their entire range of cheese. 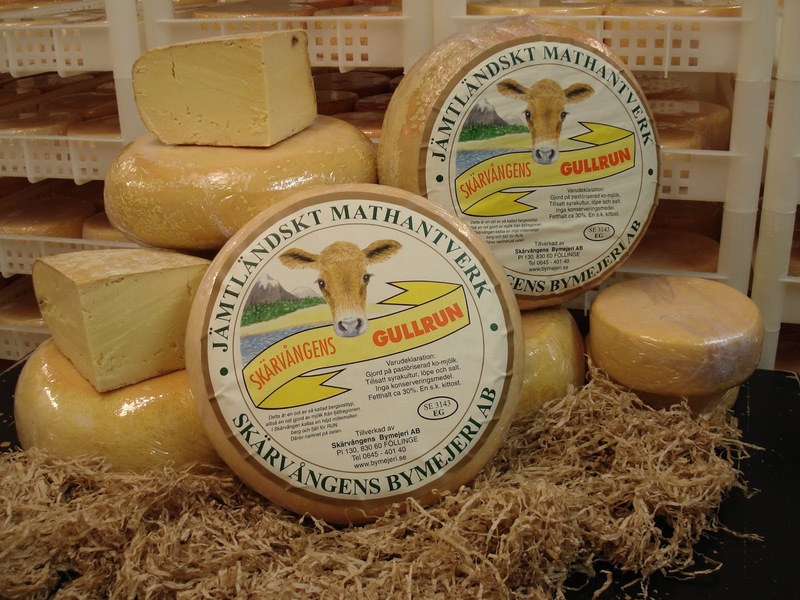 We strongly recommend every one of you to try the cheese from Skärvången. The village of Skärvången, close to the mountains in Krokom (Jämtland), is home to one of Sweden’s best-known artisan cheese producers. Each year 400,000 litres of goat’s milk and 500,000 litres of cow’s milk are used to produce around 25 different soft cheeses. The Range of cheeses goes from blue and white mould-ripened cheeses made from cow’s and goat’s milk, Hard goat’s cheese, Getmese (goat’s milk whey cheese) and Long milk (Scandinavian soured milk). Since 1999 the village dairy has been run by three families with the ambition of laying the foundations for sustainable agriculture to keep the rural district vibrant and the fields open. With influences from European and particularly French artisan cheese making, Skärvången has developed its own cheese tradition. This has made the cheeses well known throughout Sweden. We particularly suggest that you try the blue goat cheese Kitty and the much milder goat cheese Vit Caprin. The best cow cheese according to us is the Blå-Ädel but you should really try something from all spectrums of their product range.